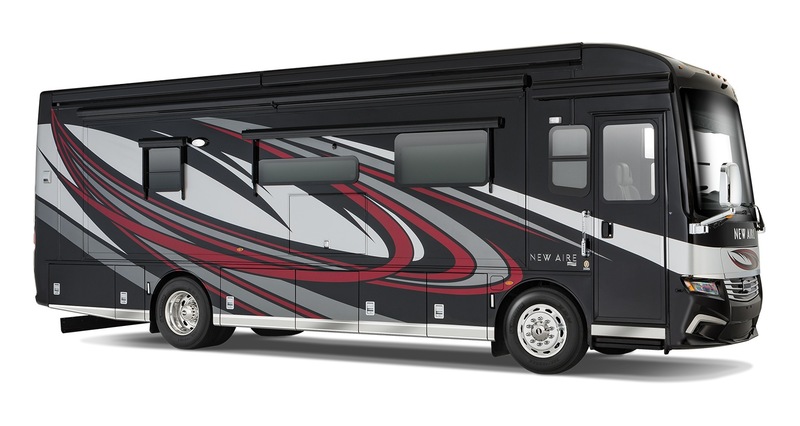 Every 2019 New Aire showcases our industry-exclusive full-paint Masterpiece™ finish. 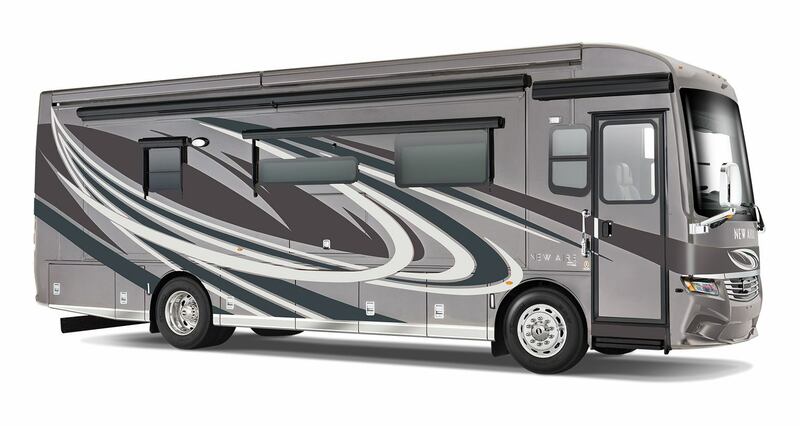 Measuring just 33 feet in length, the 2019 New Aire uses Comfort Drive™ to provide an SUV-like driving experience. But it’s what’s inside that proves big luxury really can be had in a smaller package. 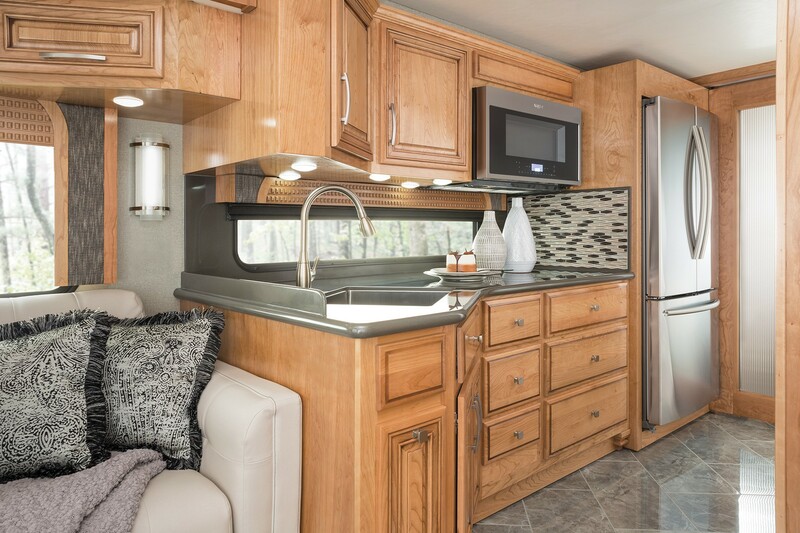 Filled with hardwood cabinetry, New Aire positions sumptuous furniture above polished porcelain tile. 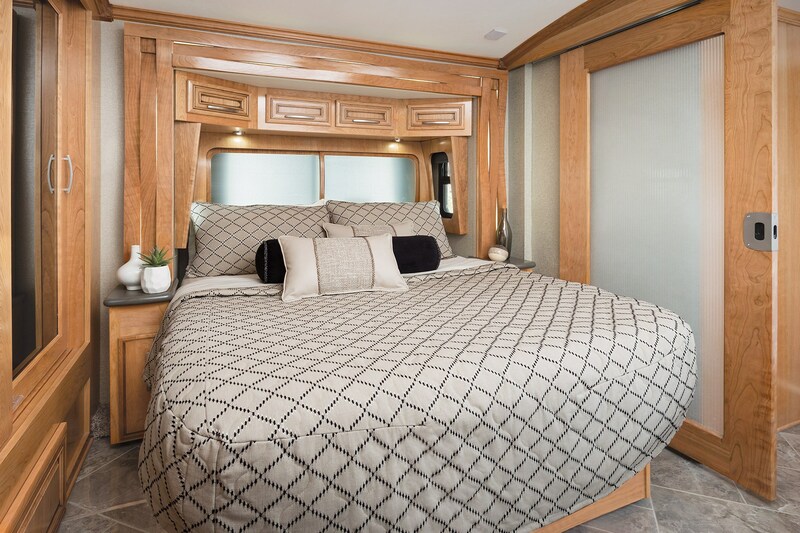 Despite its tailored exterior dimensions, the New Aire cabin is big on space, with both quad-slide and triple-slide with full-wall expansion layouts available. 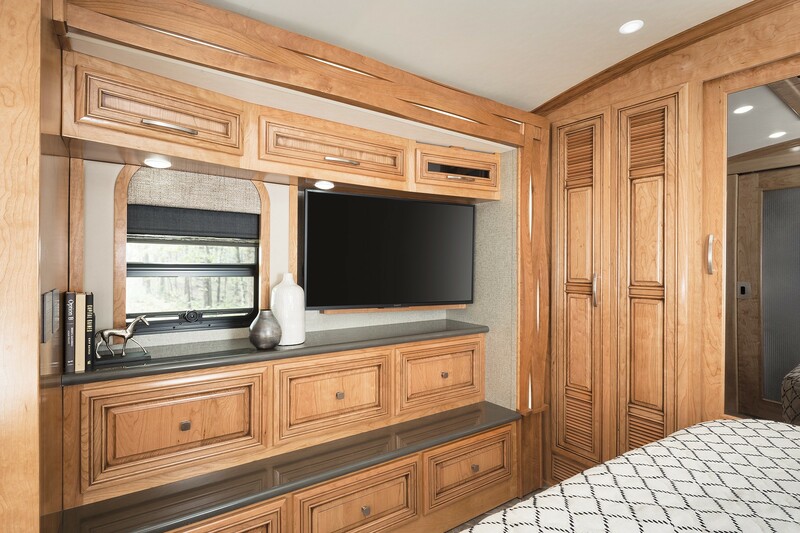 Giant double-pane windows let in the great outdoors, while a Wi-Fi signal booster makes it easy to stream your favorite shows. 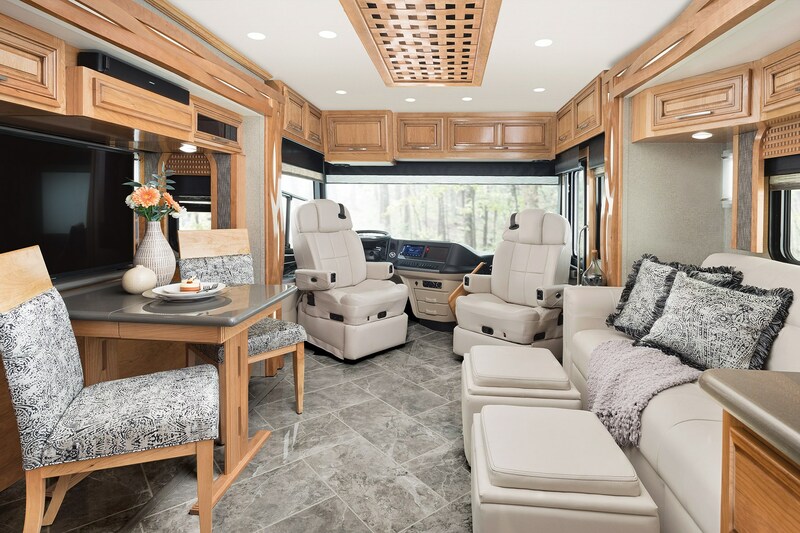 What’s more, the 2019 New Aire lets you choose a sleeper sofa or two power-adjustable theater seats with floor plan 3345.